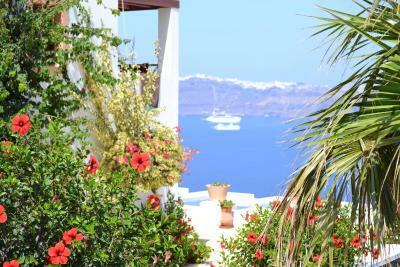 Lock in a great price for Maison Des Lys - Luxury Suites – rated 8.8 by recent guests! 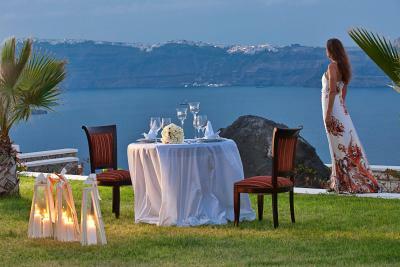 The location is fantastic and the service is excellent. Everything was top notch! Staff was great! 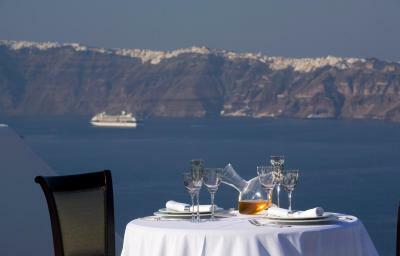 Breakfast was on point, and view was breathtaking! I really recommend visiting this hotel. 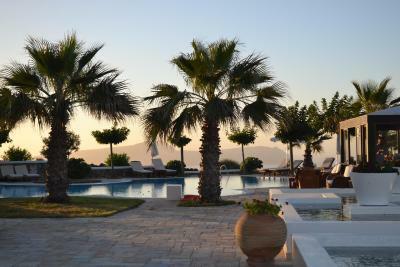 If the residence is beautiful what i will remember the most is the service quality and all personel kindness. 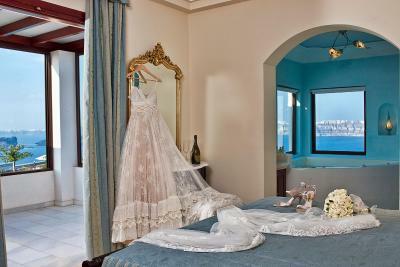 Stunning location, our superior suite exceeded our expectations. All of the staff were friendly and very helpful especially the two ladies on reception,nothing was too much trouble for them. There was a wide choice at breakfast to choose from which was delivered to our suite every day at a time of our choice which was lovely. Would highly recommend this hotel to anyone. 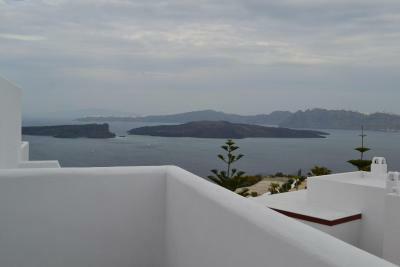 The view from my suites was amazing as expected and showed in the pictures. There are restaurants near the hotel like 5 mins by walking. I enjoyed every single moment in there . 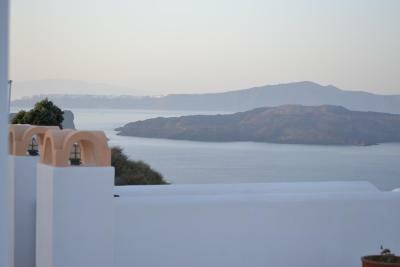 Absolutely spectacular views and the rooms are spacious and always clean. The staff are very friendly. Especially the woman from reception during the evening's (Maria?). Loved my stay, thank you! 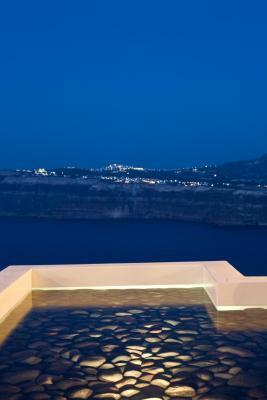 One of our top picks in Akrotiri.Overlooking the Aegean Sea and the volcanic rocks of Santorini, Maison Des Lys provides a pool and restaurant. 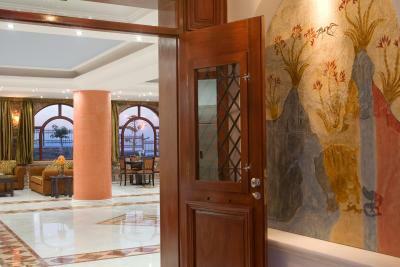 It features elegant suites with free Wi-Fi and balcony or terrace. Free 2-way transfer from the port and airport is offered. 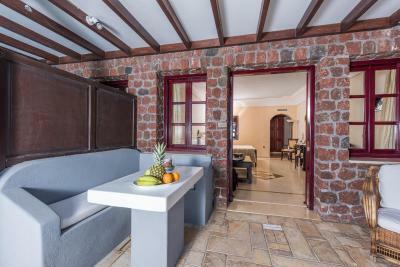 Featuring neutral colors, luxury bedding and draped curtains, all the tastefully decorated suites at the Maison Des Lys have a flat-screen satellite TV. 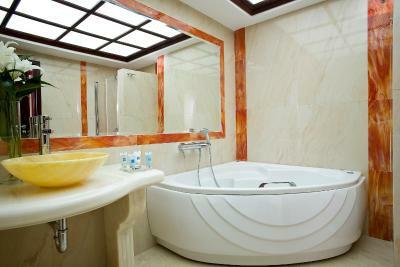 Some suites offer a spa bath and a private pool. 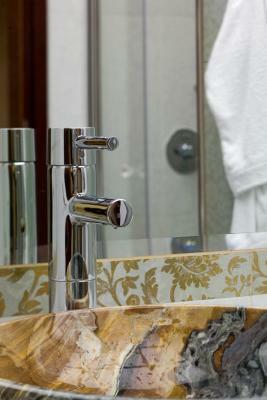 Luxury toiletries are provided in all units. 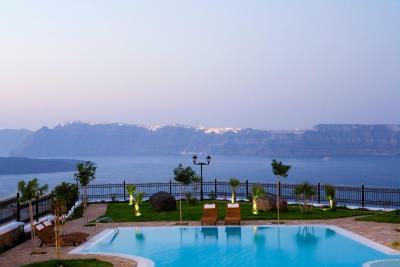 Guests can relax around the pool with a cocktail from the bar, enjoying the views. Breakfast in the room is also possible. Massages can be arranged upon request. A hot tub is available. Free sun loungers and umbrellas are offered on the black-sand beach of Perissa. Kokkini Paralia Beach is 0.6 mi away. 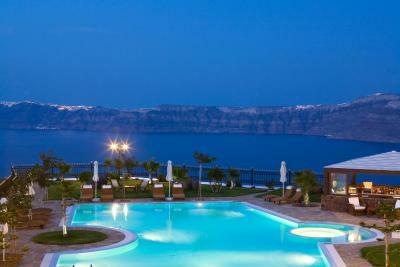 The center of Akrotiri is 1,650 feet away while Fira Town is at a distance of 9.3 mi. Free private parking is possible on site. 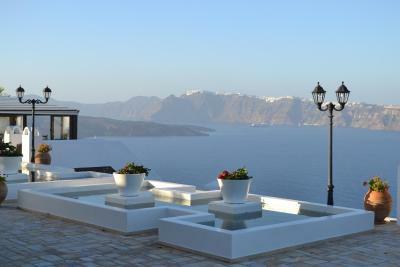 When would you like to stay at Maison Des Lys - Luxury Suites? 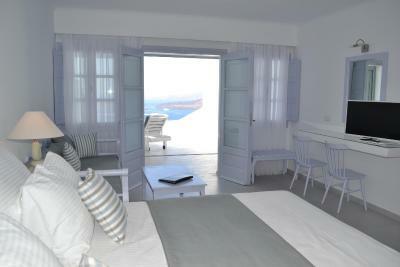 Junior suite with Caldera-view veranda. They offer an open-plan bedroom with a sitting room, and a bathroom with a spa bath and a separate shower for convenience and comfort. 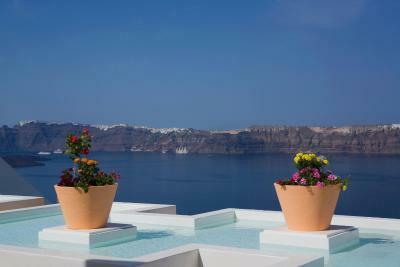 These luxury Junior Santorini Suites can accommodate up to 3 people. The room rate is based on 2 guests. The 3rd guest sleeps in an extra bed. 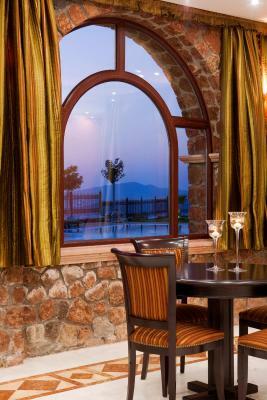 Divided in 2 levels, this suite consists of 2 bedrooms and a separate sitting area with a fireplace. 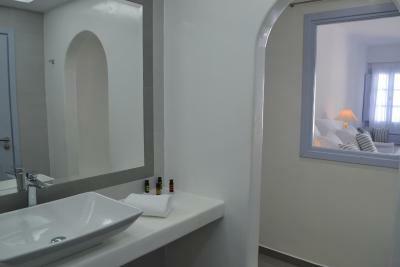 The bathrooms include a spa bathtub, while some also have a separate shower. 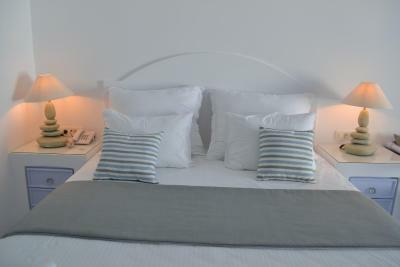 This suite can accommodate up to 4 people. 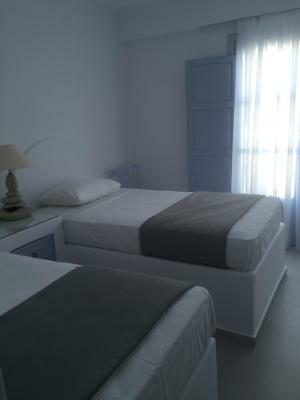 The room price is based on 2 guests (see Hotel Policies). 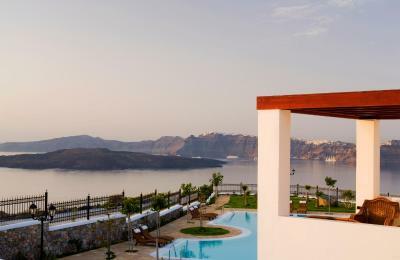 Featuring a private, heated pool with a hot tub, this suite enjoys Caldera and volcano views from its terrace. 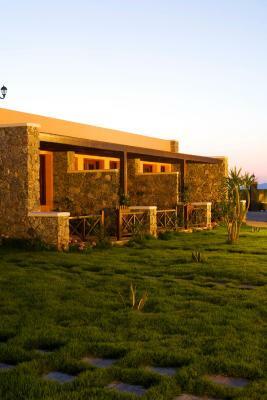 It consists of 2 double bedrooms, a living room with a fireplace and 2 bathrooms, one with a spa bath. 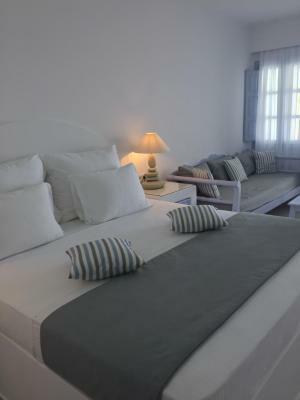 It can accommodate up to 5 people. 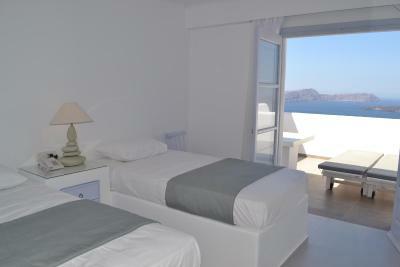 The room rate is based on 2 guests (please see Hotel Policies). The 5th person sleeps in an extra bed. 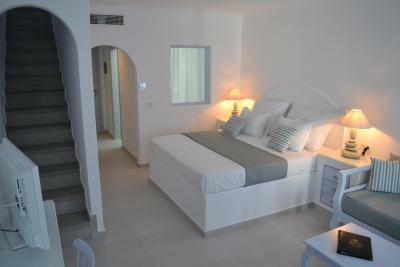 Junior suite with private pool. 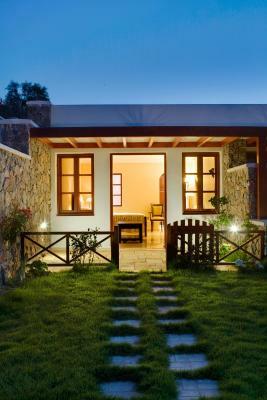 Offers an open-plan bedroom with a sitting room, and a bathroom with a spa bath and a separate shower. The 3rd person sleeps in an extra bed. 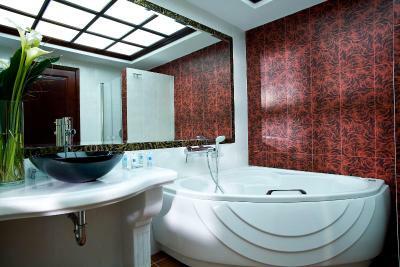 This suite features a tile/marble floor, seating area and air conditioning. 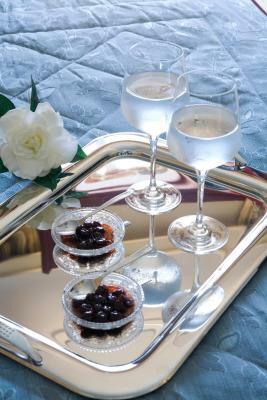 House Rules Maison Des Lys - Luxury Suites takes special requests – add in the next step! 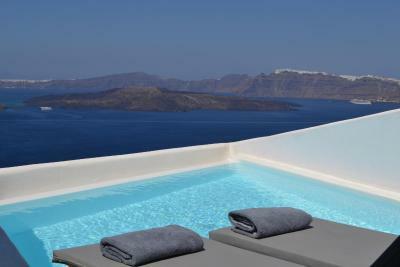 Maison Des Lys - Luxury Suites accepts these cards and reserves the right to temporarily hold an amount prior to arrival. 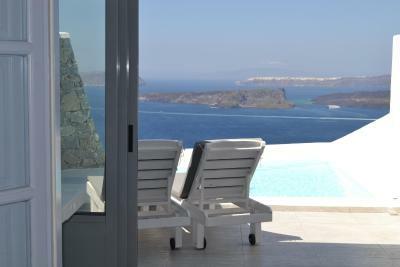 The property offers free 2-way transfer from the Santorini Airport and Port. 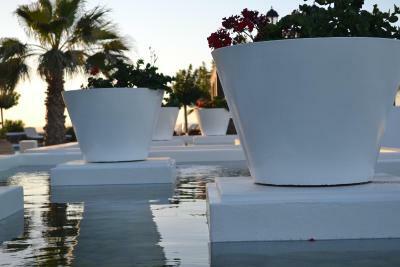 Guests are kindly requested to inform the property at least 2 days in advance if they wish to make use of this service. Contact details can be found on the booking confirmation. Views are the best. Far better that over rated First and Oia properties. Fabulous views. Away from the crowd. Highly recommended. Floor was dusty. Could be from the string winds blowing ashes/sand. Could have provided slippers in the room. This hotel is perfect. The staff were very nice. Maria was very helpful. Amazing experience at this hotel. Dinner was the best we had on the island. Will definitely like to stay here again.